Amebiasis or Amoebic dysentery occurs worldwide, but more commonly in tropical destinations. Simpson Millar’s specialist travel experts have commonly assisted those returning ill from holiday after visiting destinations with poor hygiene conditions and sanitation. If mismanagement and poor hygiene at your hotel resulted in illness you may be able to claim compensation from your holiday company, provided you booked a traditional package. A traditional package holiday is classed as a booked holiday at an inclusive price in the UK, where generally, you will not be aware of the individual cost of the component parts (flights, accommodation, transfers etc.) 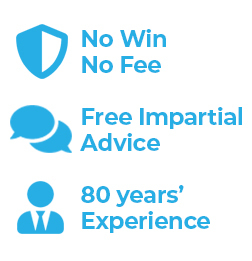 Simpson Millar LLP are able to represent you on a 'no win no fee' basis. For further advice regarding your claim, call us on 0808 145 1353 or complete our online enquiry form. Check out our Hotel Watch dedicated to hotels we are monitoring for outbreaks of illness and dysentery affecting UK travellers abroad.